Behold the last Monster Rack Toy ever produced by AHI! 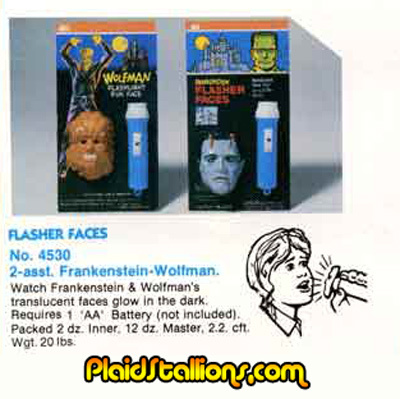 Flasher Faces popped up five years after the Monster merchandise bonanza of the mid seventies and while AHI was doing wonderful things with the license under their Remco brand, these flasher faces are the sole bit of cheap, dime store goodness produced during this period. 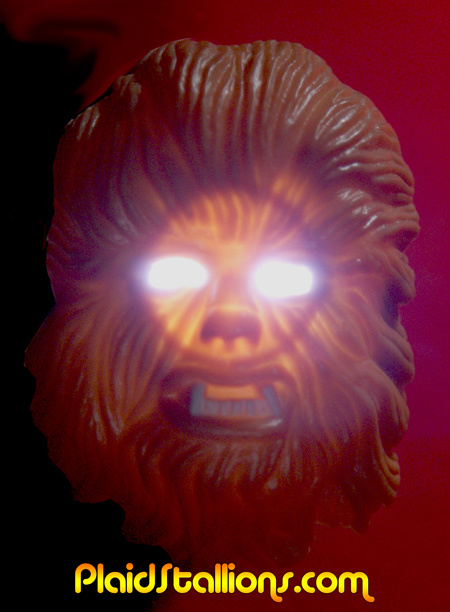 I bought the Wolfman above so I could feature it in Rack Toys, I'm cheating with the Flashlight used because this is some super LED thing from my junk drawer and not the one included, which needed a new bulb. If anyone has the Frankenstein and would like to sell it, please drop me a line. Despite my "I only collect figural items" rule, for some reason I really like these. 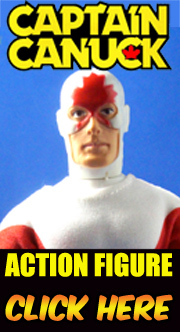 Like Rack Toys on Facebook and get notified when it's available. Wolfman look a *lot* like Chewbacca. Just sayin'. I wanted one of there pretty bad, but they looked so cheap.